It is available on Amazon as a Kindle and as Paperback version. Need more ideas and inspiration? faster and easier growth in the Doodle Art. other tutorials on creating shapes with Doodle Art. tutorials for expert doodle artists. Welcome to Doodle Art Club! Anyone who has ever been in a boring meeting certainly knows what a doodle art is. It need not be artistic or perfect for doodle art has its own unique beauty. Since everyone is familiar with doodle art and they simply do it naturally, we thought of using this artistic form to help de-stress, meditate and create beautiful art while in that state of harmony. While many think doodle art is nothing but mere childish drawings, science proves otherwise. Doodling is much more than just some drawing on a piece of paper during a class lecture. It’s a meditative art form through which artists can express themselves all while transitioning into a meditative state of mind. The major reason for people underestimating doodle art is its simplicity. Doodle art has no rules, no restrictions, it’s a fun way of expressing oneself. Despite that, doodle art is a serious art-form. By combining your simple doodles with expressive illustrations you can create amazing art pieces that is sure to stun everyone. And the best part? You have lots of different doodle art styles to explore. In fact, doodle art is very similar to Zentangles or Zendoodle which are gaining popularity among artists recently. The only difference between the two art forms is that Zentangles have strict rules while doodle art is flexible and doesn’t follow rigid principles. Zendoodles seem very intricate at the first glance but the process of creating one is relaxing and easy. 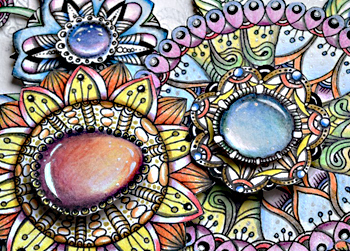 Zentangles are created in smaller sections one at a time. 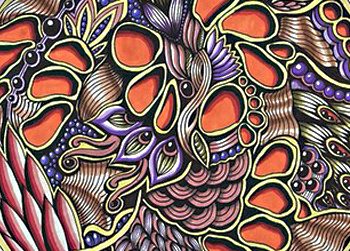 All these little pieces of intricate doodles are termed as tangles which together make up a complete Zentangle. Doodle art on the other hand is flexible. It has no boundaries, you can simply follow your heart and fill the canvas with whatever pleases you. 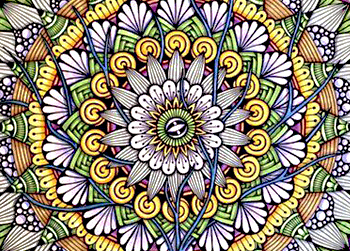 You can doodle while your mind reaches a meditative state. You can relax while letting your creative side express itself. Doodle art has since been a way for artists to express their creativity all while relaxing. In fact, many artists use Doodle art as a creative method to harness their power to focus without it feeling tedious. You can as well begin to enhance your creativity and focus with doodle art. You will find numerous resources and tools to help and guide you through your journey of doodle art. We showcase the greatest and top most information on doodle art, all on this single platform just for all you doodle art enthusiasts. You can learn the philosophy of doodle art in this platform to create your own very first creative doodle art. Doodle art is a great place for beginners as well as doodle art experts! We have an array of articles, books, tools and step by step guides on this website. You can learn the basics of creating a doodle art, creating your own unique patterns, and top tips and tricks. Browse through our website and get inspired! Our New Book "Doodle Art Handbook" on Kindle!